Next Round Of Idaho Counties Arriving In April! 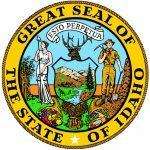 The Idaho State Judiciary has updated their release schedule, and they will be completing the transition of another batch of counties to their new Odyssey system in April 2018. Once this transition is complete, the new counties will be available immediately on CourtTrax for name and case number searches.